At first glance, the two cover images for The Myth of Nouveau Réalisme look the same. In the image, Yves Klein’s Leap into the Void, (1960), the artist is pictured flying out of a second story window. On the front cover image, a bicyclist rides down the street, away from the viewer, unaware that an artist is performing a miracle just meters away. On the back cover image, however, no cyclist... curiouser and curiouser! There has been much debate about the circumstances surrounding this photomontage. In opposing these images, the reader is given the opportunity to experience a version of Klein’s performative work. The “Nouveaux Réalistes” (New Realists) included Pierre Restany, Arman, François Dufrêne, Raymond Hains, Yves Klein, Martial Raysse, Daniel Spoerri, Jean Tinguely, and Jacques Villeglé. 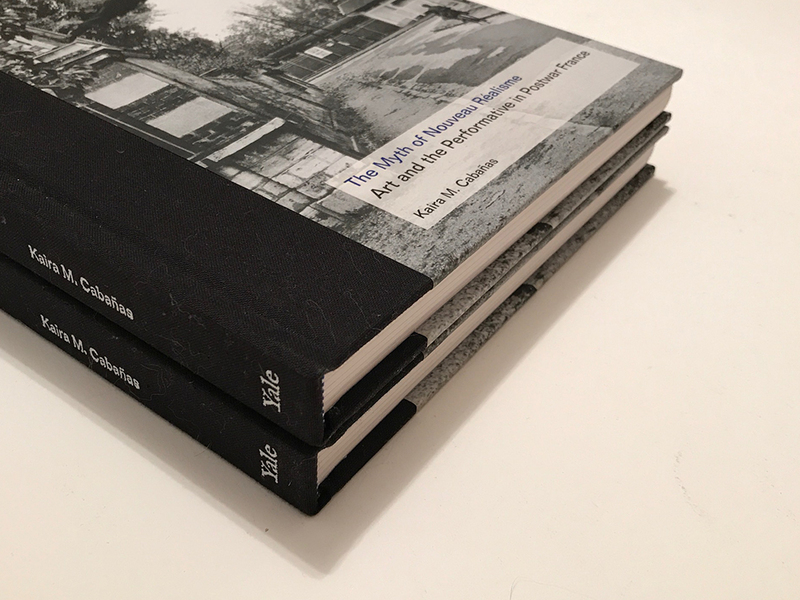 The Myth of Nouveau Réalisme; Art and the Performative in Postwar France was published by Yale University Press in 2013. 40 color + 78 b/w illustrations.